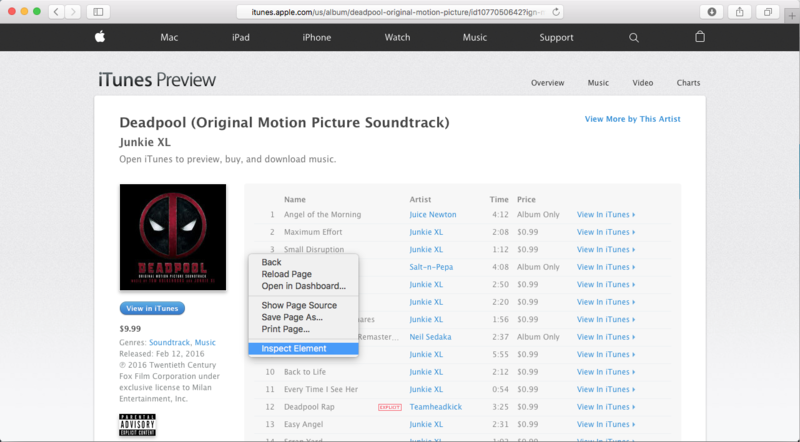 Testing iTunes affiliate links can be tricky! They need to be exact, they're often case sensitive, and confirming proper affiliation is difficult. Anytime you copy / paste a link, or build one manually, you should use caution as to not introduce any issues, like an extra character or space. It's important to test your affiliate link to make sure it works! With iTunes links there are two ways to test, and as you'd expect, the test that takes longer to run is the more comprehensive of the two checks. The quick and dirty way is to watch for the "a" cookie to be set when your affiliate link resolves. While the "a" cookie is encoded, ensuring that it's placed is a good indicator that the affiliation worked correctly. This test doesn't protect against every potential issue, but it is a quick way to verify that an affiliate cookie is being set by your link. For this example I'll use Safari on desktop / laptop with the developer tools turned on. 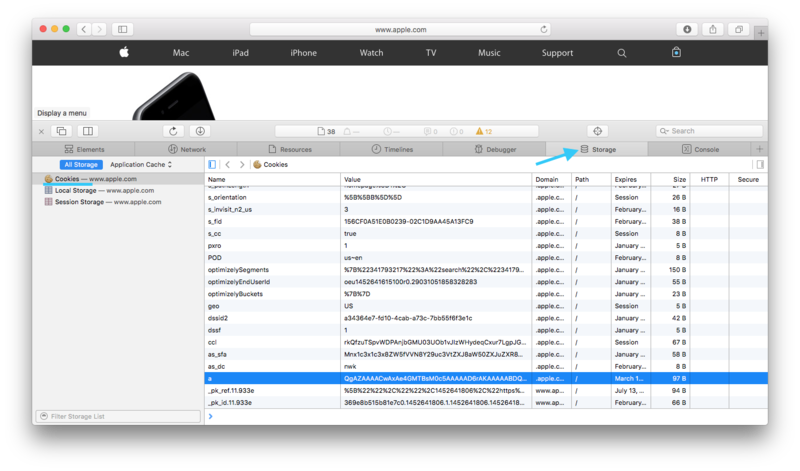 You can use Safari on a mobile device but it requires a bit more setup and tools like Charles Web Proxy. 1. 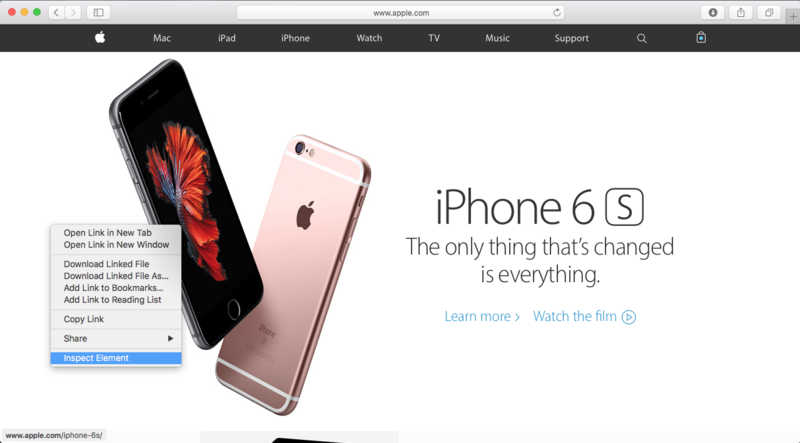 Go to http://www.apple.com right-click on the page and click Inspect Element. 2. Click the storage icon (looks like stacked plates), select cookies and look for the "a" cookie. If it's there, delete it. 3. Click on the affiliate link you'd like to test. 4. From the preview page that loads, right click and choose Inspect Element again. 5. Is there a new "a" cookie there? If so, then you are likely doing everything correctly. The slower and thus more reliable method of testing an affiliate link is to actually click it and go on to make a purchase. You can purchase anything, so I typically choose a $0.79 song. You then need to wait until you see your iTunes receipt show up in your inbox (this typically takes a few days), then log into the affiliate network and make sure you received a commission for your purchase. Be sure to use a tracking tag in your test link to ensure that the link you are testing resulted in the commission (and not some other link you may have clicked on earlier). The fewer affiliate commissions you are currently referring, the easier it will be to find your specific test sale. Patience is important in testing your affiliate link. Sales can take longer than four or five days to show up. If you don't see a commission from your purchase reported from the affiliate network, give yourself at least a day or two after you get your iTunes receipt before assuming there is an issue with your affiliate link. Having two people test a link with a purchase is another way to ensure your link is affiliating correctly.